"If you are looking for a super carpet cleaning job, call Carpet Cleaning Old Bridge, NJ. I would recommend them to anyone. I have a baby, a toddler and two cats… Believe me… I have a lot of stains on my carpets. Carpet Cleaning Old Bridge, NJ was able to get all the stains out and I'm completely satisfied with the results. They were very patient and polite. There's nothing better than a clean carpet." Carpet Cleaning Old Bridge, NJ offers air duct cleaning services for taking care of the problem of pollen, dust mites, bacteria, mold and other pollutants that are invisible to the naked eye. We respectfully ask you to seriously consider air duct cleaning service if you are concerned about the condition of the air you breathe indoors. 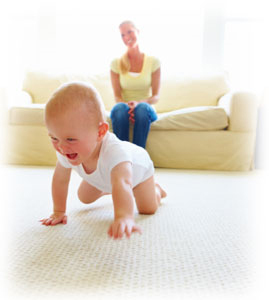 Carpet Cleaning Old Bridge, NJ uses environmentally friendly processes to removing pollen, dust mites, allergens, fungus, and bacteria that invade so many people suffering from allergies and respiratory problems. Today, more than ever, we must make intelligent choices with health in mind. Feel confident when you call Carpet Cleaning Old Bridge, NJ at 732-250-0540 for your next cleaning job.